2018 Indy 500 Notebook: Part 2: Hey Hinchcliffe, Wanna Race? Then Go Faster! 2018 Indy 500 Notebook: Part 2: Hey Hinchcliffe, Wanna Race? Then Go Faster! 2018 Indy 500 Notebook: Part 2: Hey Hinchcliffe, Wanna Race? Then Go Faster! Tony Borroz opens up what has been dubbed “The 2018 Indy 500 Notebook” for an unedited look at The Greatest Spectacle In Racing. This new series will span the days leading up to and after the 102nd Indianapolis 500, set for Sunday, May 27th. 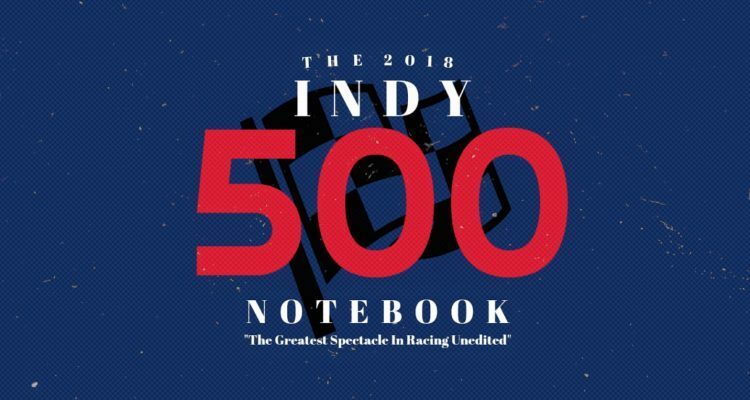 The 2018 Indy 500 Notebook is not exactly live coverage, more like raw coverage. It’s an unfiltered look and what makes the Indy 500 so alluring in the first place. The prologue can be found here. Part three is forthcoming as the action in Indianapolis continues. So I’m watching the first day of qualifying for the 2018 Indy 500. And, for the first time in a long time, there’s actual bumping going on. The starting field at Indy is limited to 33 cars, 11 rows of three. So, if you’ve got, say 38 people wanting to race, some of them are going to get left out, or bumped, in the parlance of The Speedway. I am one of those people that are happy to see bumping return. It’s a healthy sign of interest, from drivers, teams, sponsors. The more of that, the better. What I like about Bump Day (as it used to be called) is that it adds a ton of drama. If you’re sitting at 33rd in qualifying, “on the bubble” as they say around The Brickyard, every half-bright, crazy-brave driver gunning to make it in means you are going to get bumped out. Those poor racers in spots 30, 31, 32, and 33 . . . they’re like ducks in a shooting gallery. Bump Day is drowning in a sea of emotion; hope, fear, dread, elation, resignation, confidence, terror, anxiety, ecstasy, acceptance. You can see all of those cross a driver’s face in a matter of minutes while they watch another competitor try to knock them out of the race before it’s even begun. Bump Day has the expected cruelty meted out to the lower, shoe-string teams. Outfits with 29 percent of the sponsorship cash they need, crewed by a handful of overworked mechanics going up against teams with scores more wrench turners and driven by drivers . . . desperate drivers; desperate because they are on their way up and have something to prove or, even more alarming to see, desperate because the driver is on their way out, and they want, no, need, one more chance; just gimme one more chance and I can show you I still got it, please!? But there is the other side of Bump Day when, due to circumstances, one of the expected front runners, a series regular, is hanging out at the back of the grid. Dangerously so. And this time around, it happens to be James Hinchcliffe. James Hinchcliffe. Photo: Schmidt Peterson Motorsports. While all this is happening, while the clock is ticking down and Hinchy’s team realizes they’re too far back in line to make another run, the ABC/ESPN announcers go into full-blown panic and recrimination mode. The two color commentators, Eddie Cheever and Scott Goodyear, start to rail about how there needs to be guaranteed spots for series regulars, or drivers with enough points, or a driver who . . . who . . . who . . . they’re grasping at straws faster than Rumpelstiltskin and, as usual, showing themselves to be the irritating hacks that have no business in a broadcast booth. 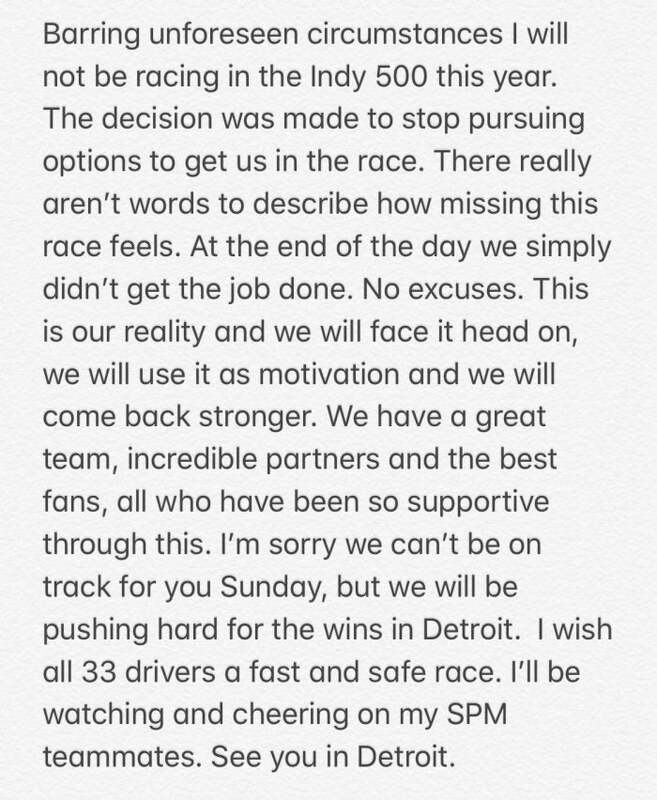 James Hinchcliffe’s statement on missing the 2018 Indy 500. Both Eddie Cheever and Scott Goodyear are former race car drivers, and they both were, largely, mediocre at best. Yes, I do know that Eddie Cheever won the 500, but he did that back in the dark days of the Tony George era, claiming victory over the likes of such racing titans as Billy Boat, Marco Greco, John Paul, Jr. I’m joking of course, those guys were even worse than Cheever, but that was the level of competition he faced back in 1998, and I, for one, am not going to let him forget about it. Goodyear? 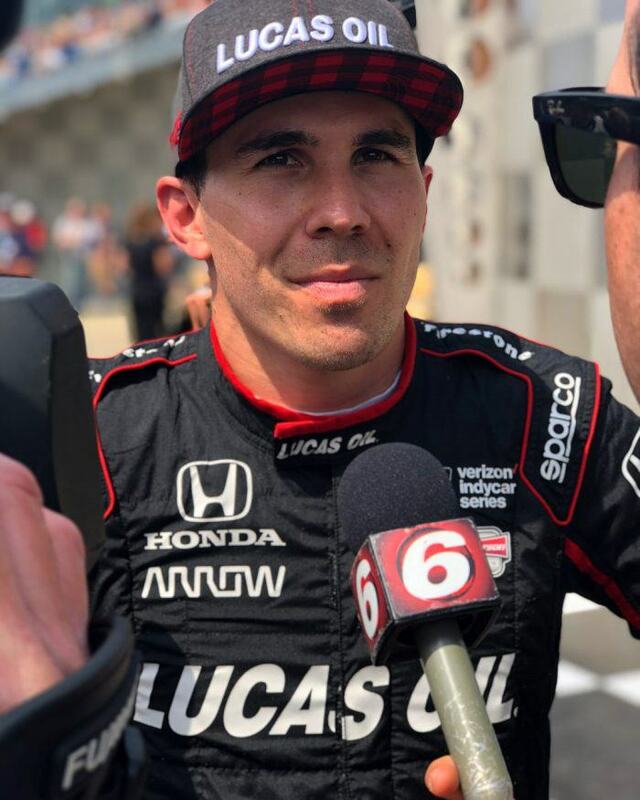 He’s primarily famous for two things: Losing to Al Unser Jr. in 1992 and getting beat like a drum by Jacques Villeneuve in 1995 and whining about it after the checker. So of course these two make-up-the-numbers boys are whining about how Hinchcliffe got robbed and that getting bumped is unfair. But you know what? It was completely fair. Hinchcliffe’s team was running under the same rules as everybody else. They were qualifying under the same conditions as everybody else. You want to race in The Indy 500, James? Then you’ve got to go fast. This is Indy baby. Put up or shut up. No Comments on "2018 Indy 500 Notebook: Part 2: Hey Hinchcliffe, Wanna Race? Then Go Faster!"